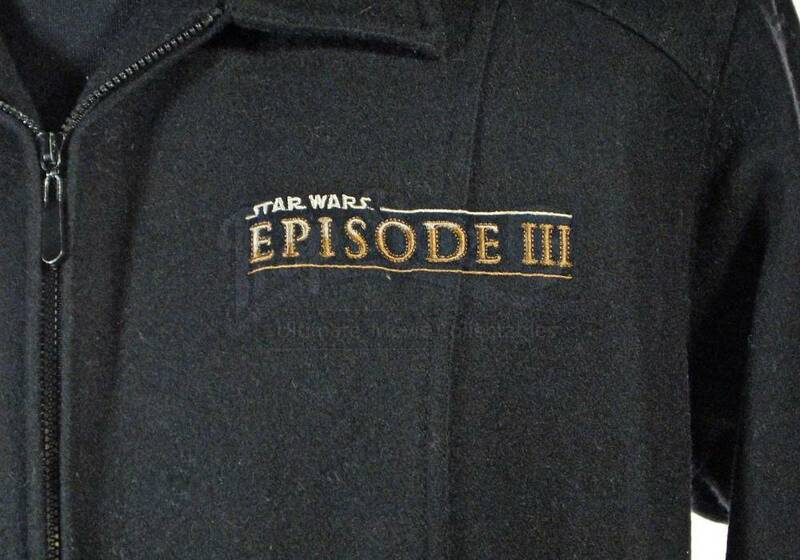 A Creature Crew jacket from the set of the final George Lucas Star Wars movie, Revenge of the Sith. 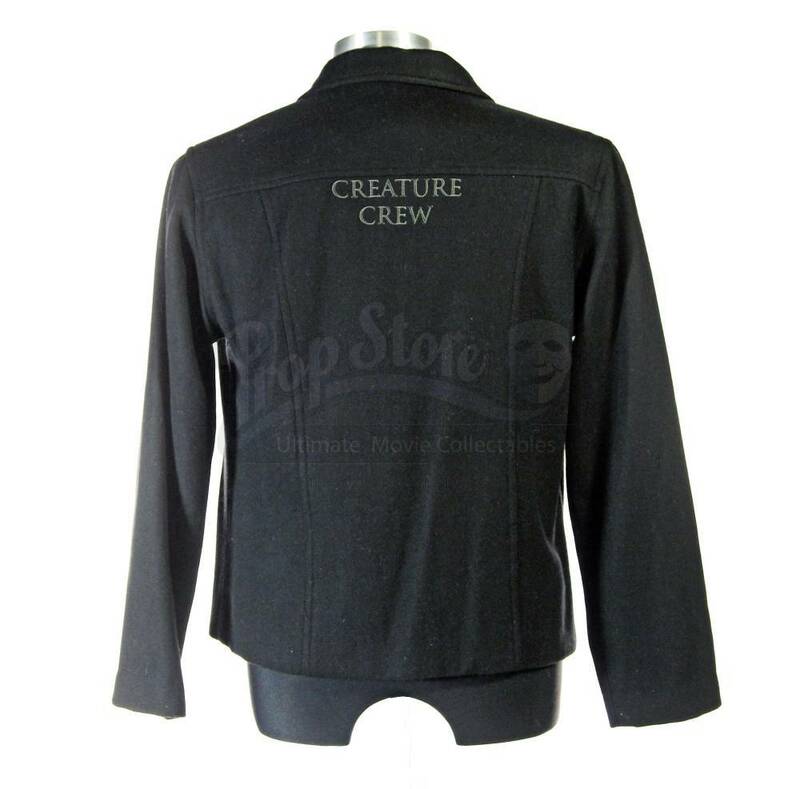 High quality garments such as this were given out to the members of the talented Creature Crew, responsible for so many of the creatures seen throughout the movie in recognition of their incredible work. 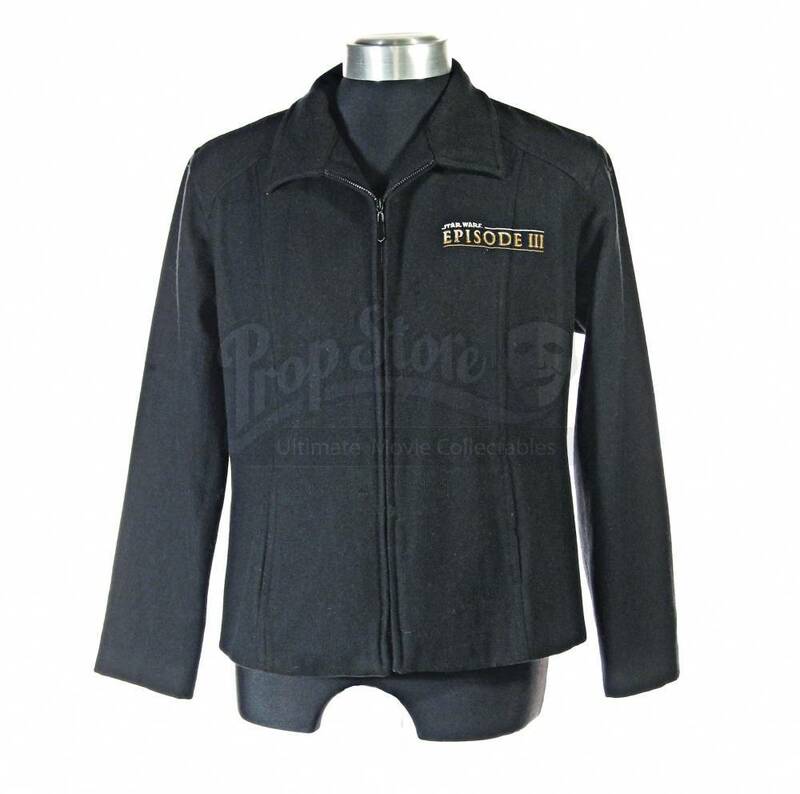 The simple black fitted style jacket simply has the movie logo embroidered in colour on the left chest and “Creature Crew” emblazoned across the back, a zippered front and single pocket either side. 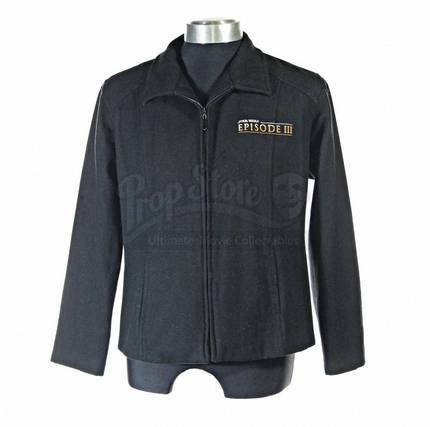 Sized as a medium or small and in a very slightly worn condition, it makes for a very subtle and comfortable crew piece.